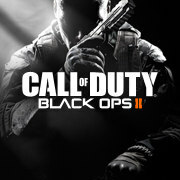 Call of Duty, one of the big boy franchises in the gaming industry adds another notch on the bedpost with the unveiling of Black Ops 2, Not exactly kept secret for long, rumours started to swirl and behold here it is. With a release slated for 13/11/2012 or if you’re American 11/13/2012, we will have to wait and see how it pans out for yet another instalment in the franchise. Never really been one for Call of Duty, don’t get me wrong COD 4 was by far the best in my opinion but without some serious changes I don’t know how they can keep this franchise going apart from the masses of fans who will buy it anyway. I guess I stand corrected, if people keep buying then I guess they will keep on making them. Zombies is back also which is by far the best feature in the game in my opinion. Check out the trailer, let me know what you think. This entry was posted on May 2, 2012 by mrbig1991. It was filed under News and was tagged with Call of duty, Mundane, New changes, Reveal, Zombies.